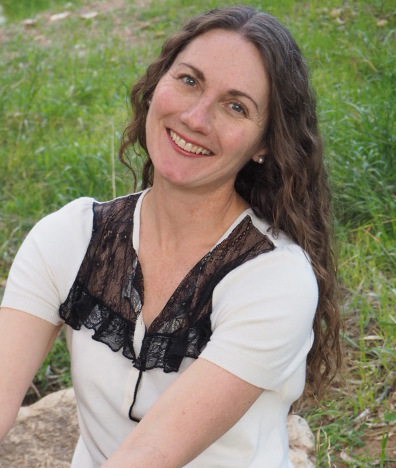 After having seven books traditionally published with both big and small publishers—adult biography, children’s picture books, commissioned histories—to commercial and critical success, author Kristin Weidenbach chose to self-publish her latest book Growing up Moonta. The author says that the process has been a rewarding experience and has allowed her to indulge her creative vision for the book. ‘I am proud of this book in every way,’ says Weidenbach. 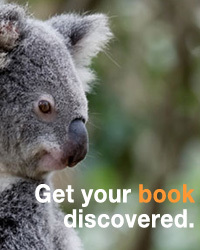 She spoke to Australian Self-Publisher for our ‘Author Spotlight’ section. Growing up Moonta is the memoir of an Australian country town entwined with four generations of family history. It transports readers to a time not so long ago, but a way of life long passed; a place redolent with nostalgia that lives on in the stories of our parents and grandparents. My first book was published in 2003 (Mailman of the Birdsville Track: the story of Tom Kruse, Hachette Australia). I wrote much of that book while working as a science journalist at Stanford University, California. I now write full-time in Adelaide. After facing reluctance to publish by one of the big East Coast publishers, I decided to self-publish in the interests of speedily bringing the book to market. The book has been a labour of love that has spanned 10 years, and in that time, sadly some of the interviewees who shared their stories with me of life in Moonta in the 1930s and 1940s, have passed away. I wanted the book released while those who remained would still be around to enjoy it. A great advantage of my decision was the ability to indulge my creative vision for the book. Deckle-edge pages, gate-fold flap cover, copper foil embossing and high-quality paper were artistic touches that would likely have been denied to me in the commercially driven world of mass-market publishing. For production of the book I engaged freelancers whose work I admired and with whom I’d worked on previous trade publications. Being my first foray into self-publishing, it was very comforting to work with people whom I trusted and to whom I could relate my creative vision. The work of the graphic designer was crucial in maintaining a consistent style for the book, including font selection to suit the 1930s era. I also contracted an illustrator for two illustrated maps and a typesetter for flowing the text. I had a couple of friends review the manuscript but otherwise handled all aspects of the manuscript myself, including construction of the index. Growing up Moonta has a unique narrative nonfiction structure, being a combination of social history, memoir and aspects of more traditional Australian pioneering history. My goal was to braid together all the funny stories and quirky anecdotes about the people of the town. I wanted to convey the warmth and neighbourly connections common to country towns of that era all over Australia, each with their own peculiarities and identities. Physically, the deckle-edge pages give the book a unique look and feel that suits the retro style of the cover and enhances the 1930s content of the story. The biggest success so far for Growing up Moonta was the launch at the Moonta Town Hall on 28 October, which drew a capacity crowd of 200 people and a positive community response. In general, I have achieved commercial success with Mailman of the Birdsville Track, with sales of more than 120,000 copies. The children’s picture book adaptation Tom the Outback Mailman, was awarded the Children’s Book Council of Australia’s Eve Pownall award in 2013. As project manager for publication of Growing up Moonta, the biggest challenge was managing the timeframes and keeping up with all the different tasks so I was ready to respond to contractors. To keep your overall timeline on track you don’t want to keep anyone waiting idle. At the same time, you need to be looking far ahead to marketing and promotional deadlines that need to be fulfilled many months before the book itself is complete. Working backwards from the publication release date to when the books need to be received by the distributor, and all the pre-printing tasks, is the best way to keep the project on schedule. Distribution! Consider your distribution channels before you decide to commit to self-publishing. Producing the perfect book could be a frustrating experience if there is no way to get your book out into the world and into the hands of readers. Once the decision to self-publish has been made, be realistic in what you can achieve yourself, and/or what is important for you to do yourself, and seek help for other tasks. Recognise your own strengths and limitations and out-source when necessary. I am currently working on a commissioned history of the pastoral company AJ & PA McBride Ltd to celebrate the company’s centenary in 2020. I’m looking forward to putting all my new-found expertise in self-publishing to use on another project when the right one arises. Growing up Moonta (ISBN: 9781921037429) is distributed by NewSouth Books.